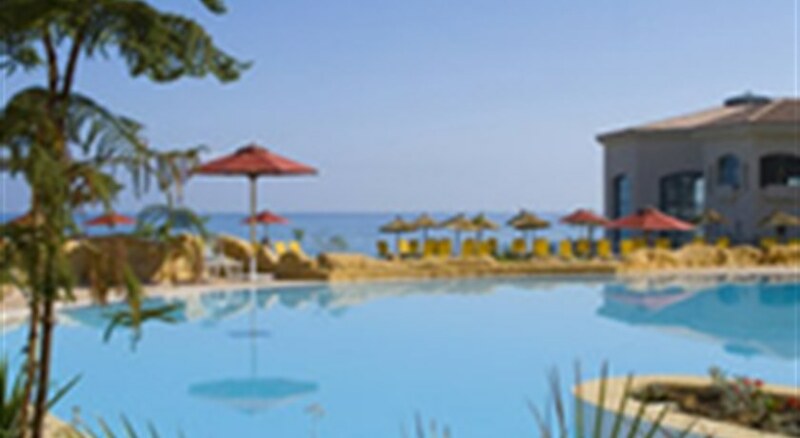 The hotel features daily entertainment and evening shows for adults and children and guests can relax in or out of the sun in the outdoor and indoor pools with children's swimming area, where there are also sun loungers and parasols on offer. 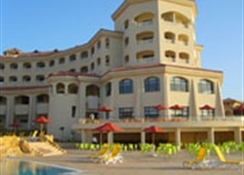 Sporting activities on offer include aerobics, tennis, table tennis and volleyball. Guests can work out in the hotel gym and then relax with a massage treatment or in the Thalassotherapy centre. For an extra fee the hotel also offers the opportunity to go horse riding or play pool/snooker and golf at the nearby course. There are also sun loungers and parasols available at the sandy beach. 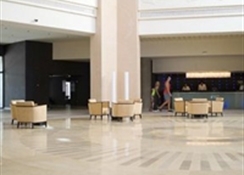 This new air-conditioned hotel provides a total of 129 rooms and features a lobby with 24-hour reception, hotel safe and cloakroom, where guests are received. Eateries include a main buffet restaurant with panoramic views of the sea, the mountains, the golf course and the city, an à la carte restaurant, snack bar by the swimming pool and the beach, a barbecue, Hunters bar, the golf bar and the Moorish café. 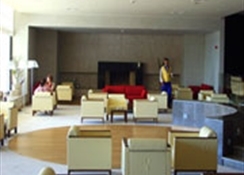 Other hotel facilities include a hairdressing salon, conference facilities, Internet access, a bridge room, an entertainment room and a casino. Guests can take advantage of the room service on offer and those arriving by car may leave their vehicle in the hotel car park.Each of the rooms is fitted with an en suite bathroom, shower and bathtub, separate WC and a hairdryer. 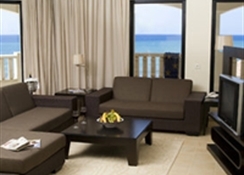 Other in-room amenities include a balcony or terrace, direct dial telephone, satellite TV, air conditioning, fridge, minibar and safety deposit box.